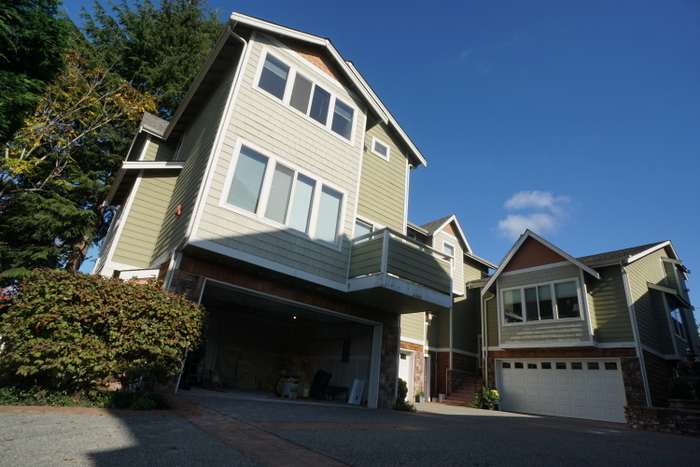 Over the last 10-15 years when many green homes were built in the Seattle area, residences were plumbed with hydronic forced-air systems for heating. 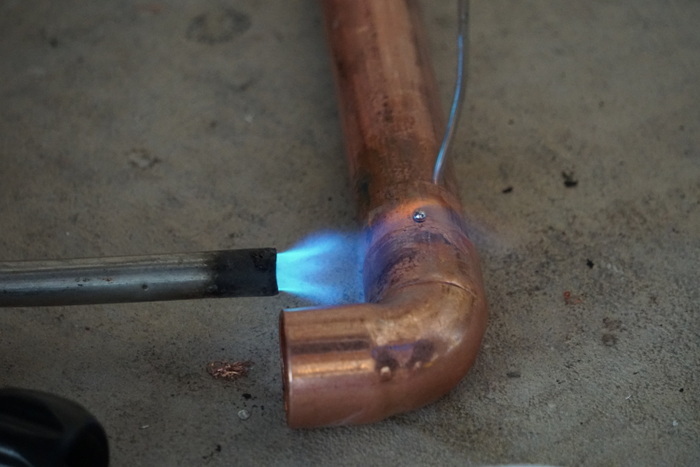 Hydronic heating is a great idea, however homeowners have discovered some disturbing news about some of the piping that was used to plumb the heating systems. (Not systems done by Washington Energy!) The product is called Kitec, and it brings an alarming issue. 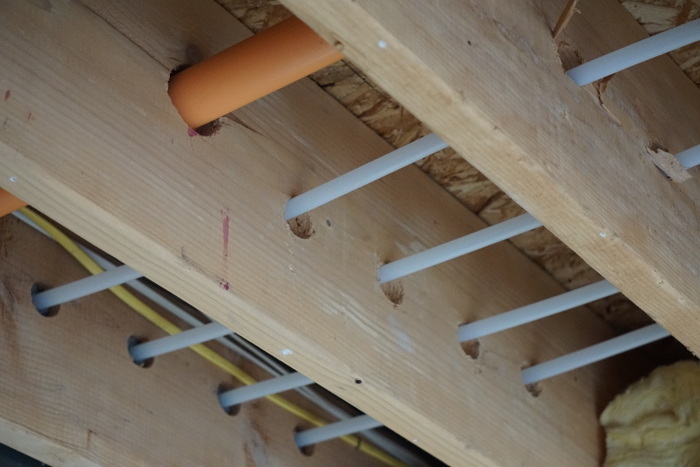 Kitec consists of flexible aluminum pipe sandwiched between an inner and outer layer of plastic pipe (polyethylene or PEX pipe). 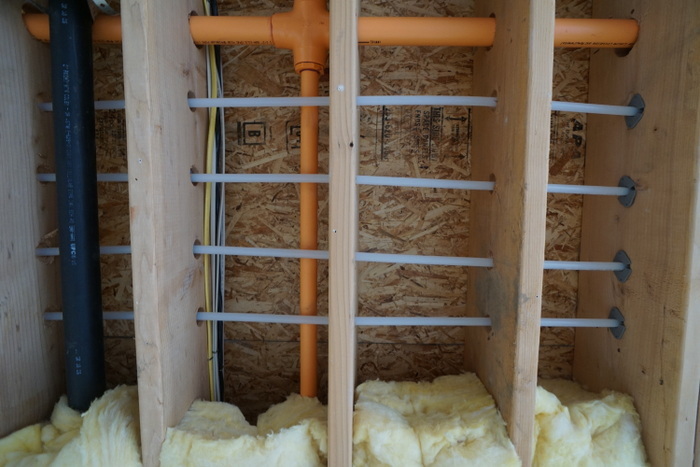 Kitec pipe generally comes in two colors: orange (for hot water use) and blue (for cold water use). 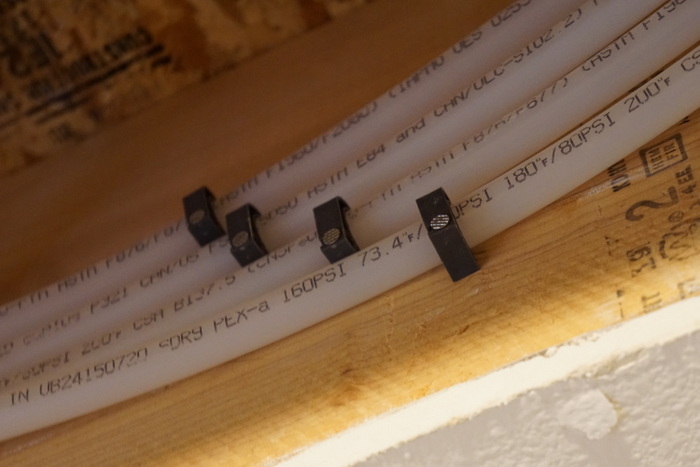 Kitec pipes were manufactured by IPEX USA LLC and have been used in homes across many western states, i.e., Arizona, New Mexico, Texas, Nevada, California and Washington. 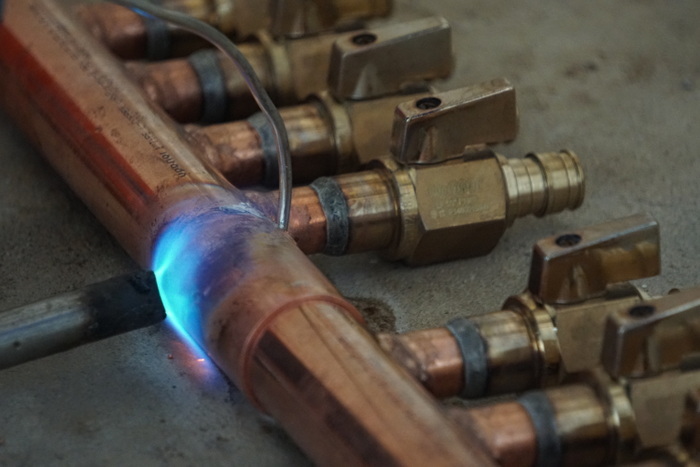 The main issue has been the specific brass fittings used as connectors with this pipe, and their impact on the whole hydronic system. 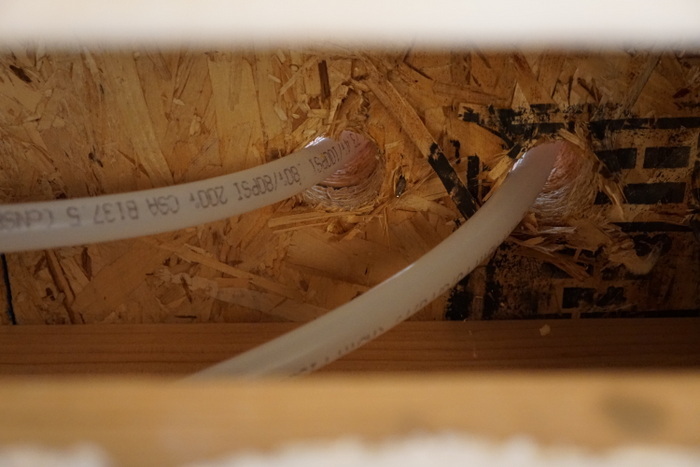 Kitec pipe and fittings fail due to a chemical reaction known as dezincification, which results in reduced water flow and leaks. The fittings have a high concentration of lead in the brass formulation. This reacts with water over time. Dezincification occurs and a powdery white corrosion builds up in the fitting, restricting the water flow. Next comes the failure, either at the site of the connectors, or at another point in the line impacted by the restricted flow, increased pressure, or both. 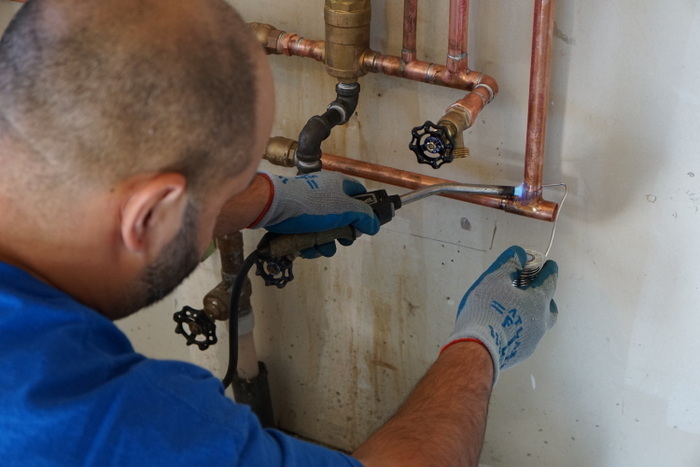 In both tests and in real homes, the compromised pipes and fittings have frequently caused damage from bursting and/or leaking. 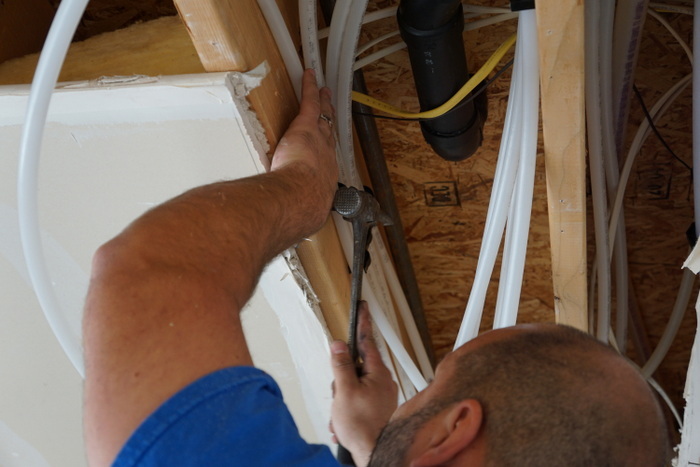 As these pipes are run through the walls, damage can be especially severe and unnoticed until it’s too late. If this was the kind of disaster that manifested in 30 or 40 years within a home, it would not generate these lawsuits. This plumbing can fail very quickly. 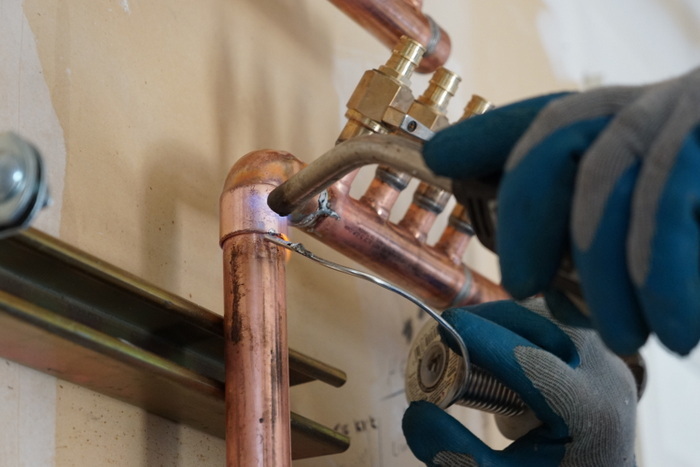 It is recommended that the only reliable way to repair and eradicate the risk inherent with the defective Kitec plumbing system is to re-pipe the lines in the house. The work is extensive, but can save you in the long run. 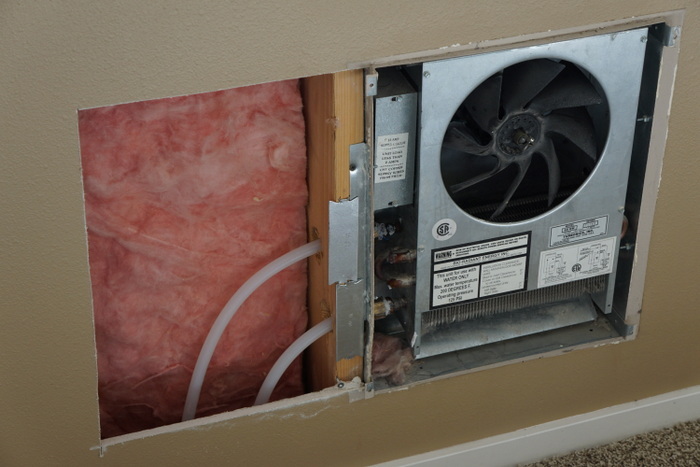 In-wall heating fans are connected to the hot water system in the garage. Our plumbers neatly run the pipes to the fans throughout the house. 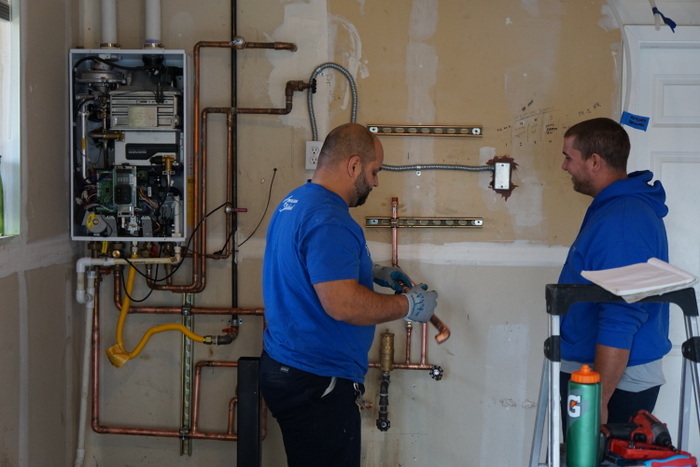 Back in the garage, our plumbers prepare the connections to and from the tankless water heater. 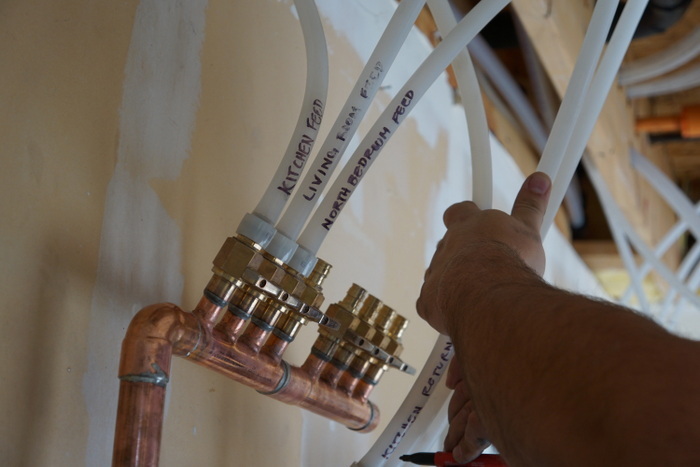 The hydronic plumbing manifold sends hot water throughout the home and also allows it to return to the system. The lines are run neatly back to the manifolds. The lines are labeled according to which fan they connect to. 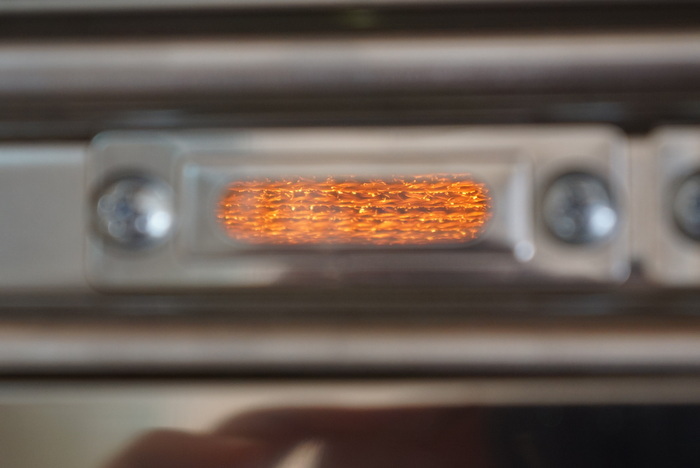 Once the lines are connected, bled for air and tested, we fire up the tankless burner for more testing. 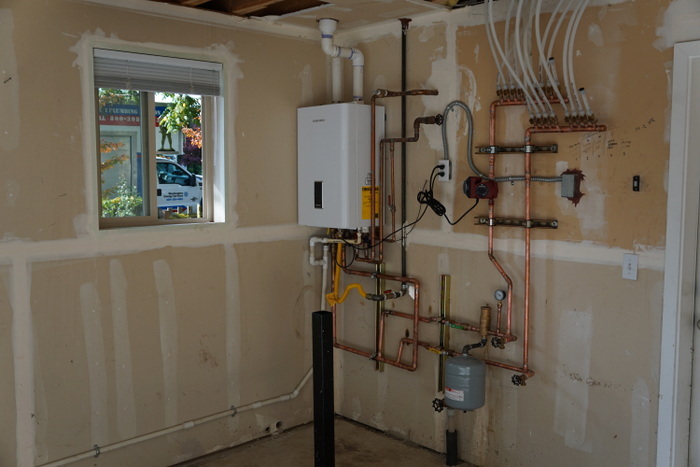 With everything functioning properly and no leaks – all that’s left to do is put the cover back on the tankless water heater and clean up our work area! Another job well done.